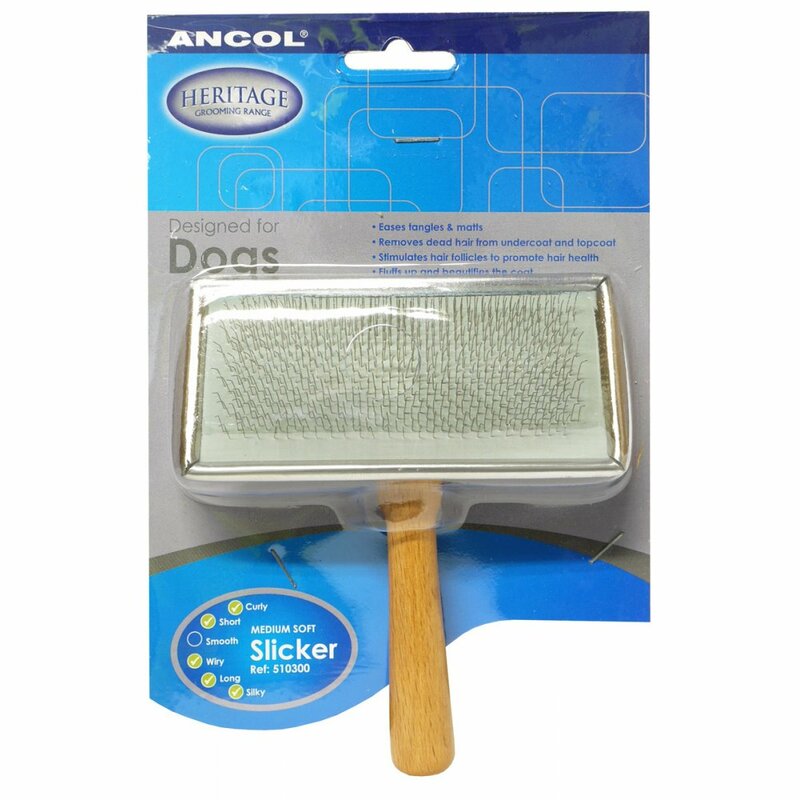 The Ancol Wooden Handle Medium Slicker helps to remove tangles and dead hair with using its metal wires. Promotes a glossy coat and comes with a comfortable wooden handle. There are currently no questions for Ancol Wooden Handle Medium Slicker - be the first to ask one!